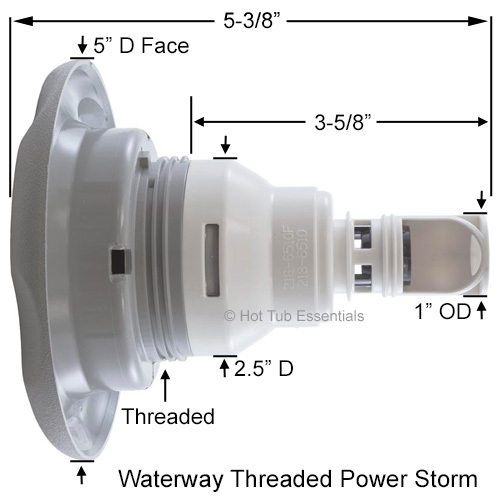 Waterway Roto Power Storm Jet Insert (Thread-In Style, includes diffuser). Available in Grey or Stainless. 5" Face Diameter Power Storm Jets are interchangeable with 5-1/4" Large Face Diameter Power Storm Jets. Note: These newer threaded style inserts will not fit if you have Snap-In style jet housings.